Hello readers, this week we thought we would introduce an amp to you that is pretty rare in these parts – the Matamp C7 head. 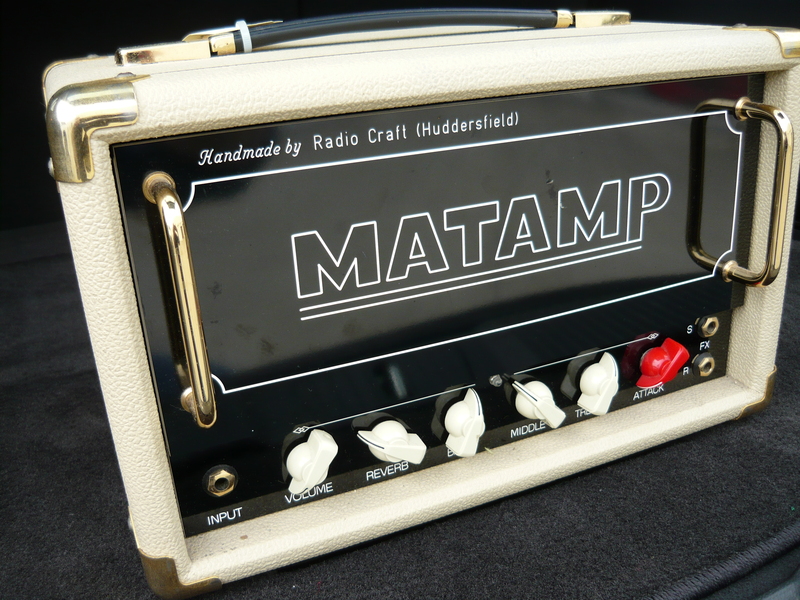 Actually, any Matamps are rare in these parts. This amp is one of a pair of C7’s belonging to James, a regular NSW Central Coast customer of ours. We have serviced both C7’s in the past (the other head is covered with black tolex), this C7 had stopped working altogether on this visit. 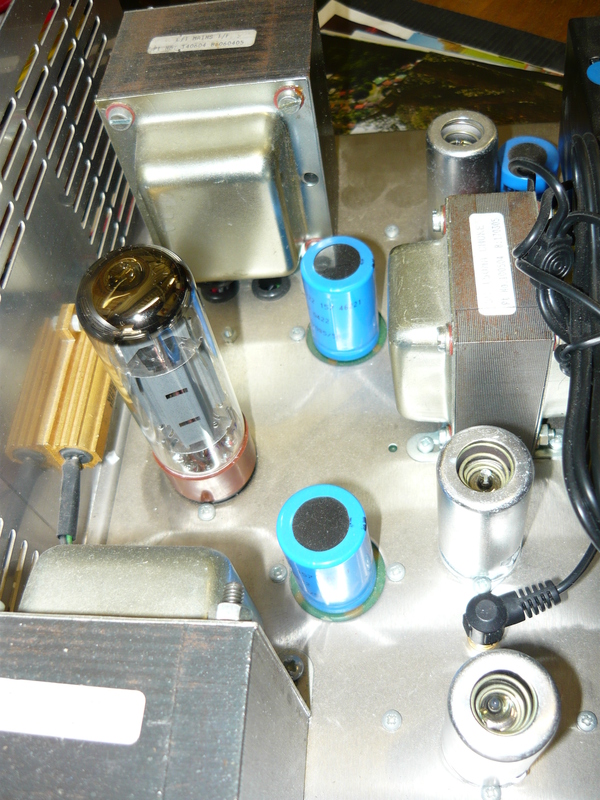 It turned out that the single EL34 output valve (tube) had shorted out internally, blowing the HT fuse. There was no other damage at all, so replacing the EL34 and the fuse restored the amp to its previous good working order. The C7 is a 7 watt amp based on a EL34/6CA7 power output valve, in single-ended configuration, operating in true Class-A mode. There is an all-valve preamp, consisting of three 12AX7 dual-triode preamp valves, although the reverb drive circuit employs a TL071 IC. The reverb recovery circuit uses one of the 12AX7’s. The inclusion of reverb in this class of amp is unusual, but unfortunately the quality of the reverb effect is not sensational. What is sensational though, is the high standard of construction and assembly compared to just about any other similar style of amp on the market. 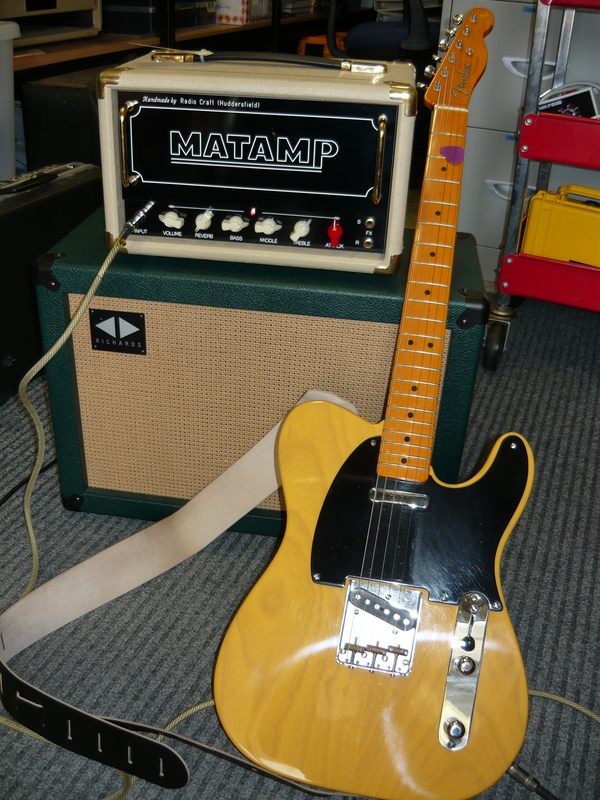 The original Matamp company in the north of England goes back to at least the 1960’s, and the C7 is built to the same bullet-proof standards as the original 120 watt heads, which were held in high esteem at the time. The use of an EL34 output valve, as compared to the more usual 6V6 or EL84 valves, plus beautifully over-engineered power & audio output transformers, gives this amp a much bigger sound than comparable single-ended amps. 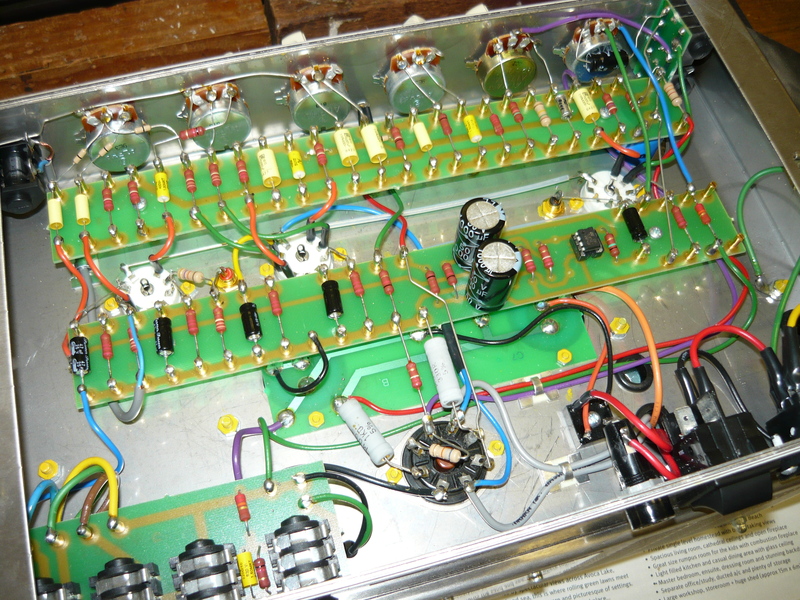 The original Matamps employed Baxandall EQ (2-band), and a 6-way rotary tone switch for fine control over the bottom-end. Today’s Matamp is voiced quite differently, actually much closer to the Hiwatt/Sound City/Roost amps tonality, with 3-band interactive EQ. 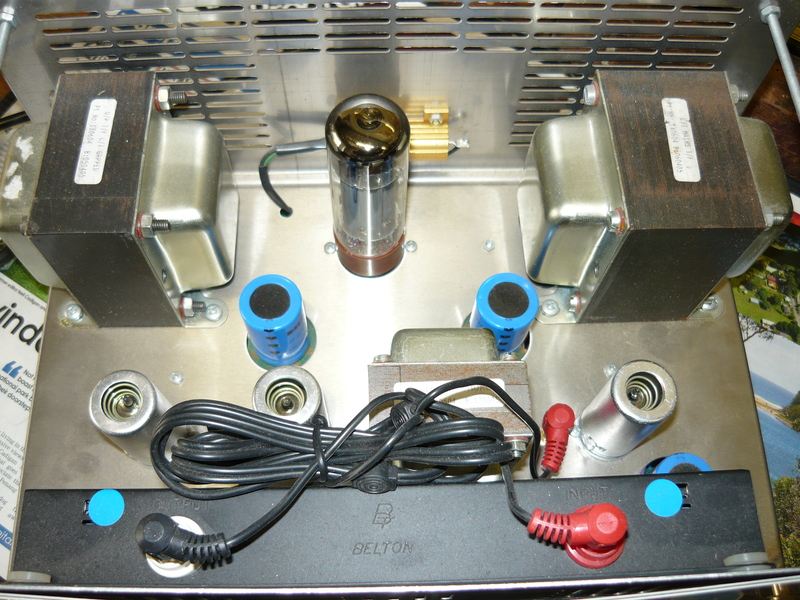 Other design features unique to this amp include a (passive) FX Loop, an active Attack control, which gradually bypasses the negative feedback loop for a bigger, looser tonality, or sweep the opposite direction for tighter & cleaner – this control more than makes up for the lack of a master volume. The Record Out jack on the rear panel automatically switches in a 15 ohm/50 watt resistor across the output for recording from the amp direct, without the need to be plugged into a speaker. The LED power on indicator is actually powered from the EL34’s cathode bias supply, so gives you a visual indication that the EL34 has warmed up and is operational. Well, there we have it. A distinctively British-voiced single-ended valve amp that possibly won’t appeal to everyone, but we would say that any of the recent Matamp models are worthy of your consideration. Although most likely intended for the home-recording guitarist, this amp is robust enough for live gigging. 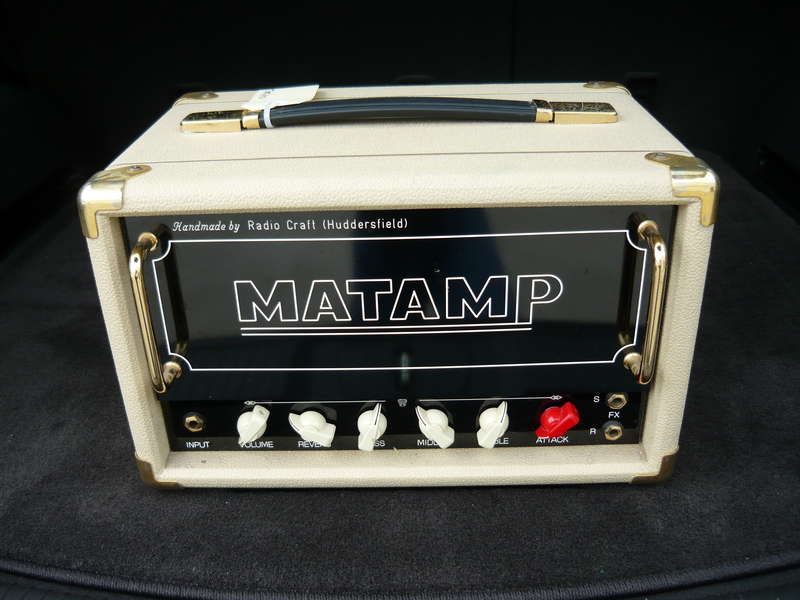 We definitely congratulate Matamp for not selling out and for continuing to manufacture in the UK to their traditional high standards. 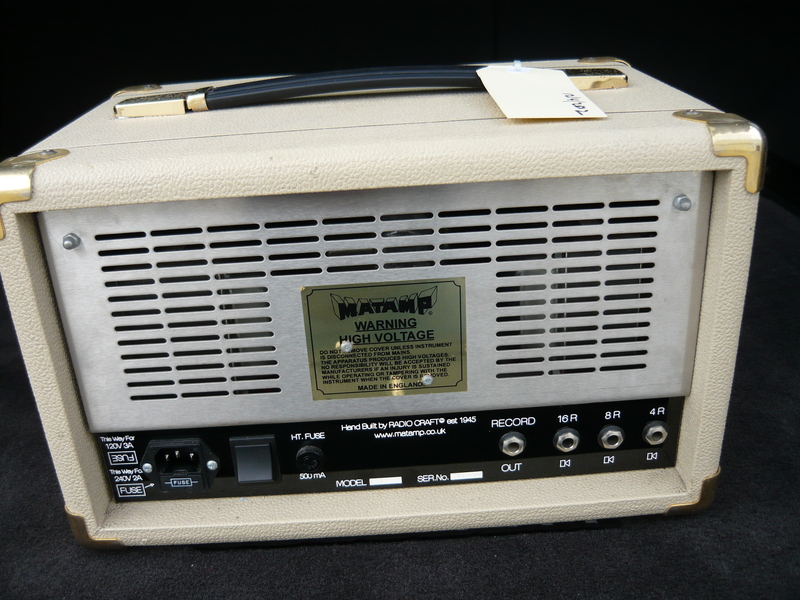 This entry was posted on April 20, 2012 at 1:04 pm and is filed under Amp Repair, Amps. You can follow any responses to this entry through the RSS 2.0 feed. You can leave a response, or trackback from your own site. I have the very similar “First Lady”, and the reverb is very poor, and on full actually silences the amp! Even on 2/10 or 3/10 it is very poor sounding – like the reverb is very far away – full but quiet. Are there any mods that might improve this?